Jesuit Volunteer Corps (JVC) Northwest began in 1956, under the auspices of the Oregon Province of the Society of Jesus. 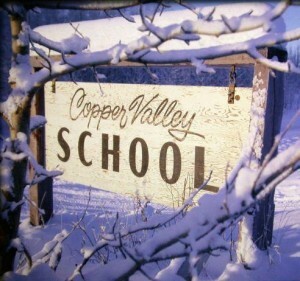 A few committed volunteers helped build and teach in the new Copper Valley School in Copper Valley, Alaska, a boarding school for Native Alaskan and European-descent Alaskan students. The first volunteers were recruited and supported by the Jesuits of the Oregon Province and the Sisters of St. Anne. The Jesuit Volunteer program expanded out of Alaska in the 1960s to work with Native American communities throughout the Northwest, as well as serving in inner city placements in the Pacific Northwest, throughout the U.S., and other countries around the world. Beginning in 1974, JVC Northwest inspired the opening of five domestic regions of JVC in the Midwest, East, Southwest, and South, and one international region (JVI), each an independent non-profit office. JVC Northwest has been the catalyst for many other faith-based volunteer organizations, and served as a model for the U.S. Peace Corps. In JVC Northwest’s 60+ year history, over 7,500 persons have served in our program. JVC Northwest is a separate organization from Jesuit Volunteer Corps (JVC), our sister organization based in Baltimore, Maryland. In 2006, when the various regions of JVC made a decision to form one centralized structure based in Baltimore, JVC Northwest discerned to remain independent and locally based to better serve local and regional communities in the Northwest. We continue to collaborate with JVC, united in the shared foundational values of Jesuit Volunteers. JVC Northwest is committed to providing well-supported volunteers to address the most urgent needs in the Northwest. In 2010, JVC Northwest received a three-year National Direct AmeriCorps award from the Corporation for National and Community Service, allowing us to expand into communities where the need is greatest. These three-year grants were renewed again in 2013 and 2016. Most of our Jesuit Volunteers are AmeriCorps Members, receiving a $5, 815 education award at the completion of their service year. In January 2012, the Jesuit Volunteer EnCorps (“encore”) program launched in Portland, Ore. JV EnCorps facilitates transformative opportunities for service, community, and spiritual formation for older adults 50 and over committed to social and ecological justice. The initial development of the program was made possible with a grant from the M.J. Murdock Charitable Trust. In Fall 2013, the JV EnCorps program in Portland engaged 18 JV EnCorps members serving 16 nonprofit agencies for a total of 5, 000 hours of volunteer service. As of Fall 2018, JV EnCorps programs has expanded to include communities in Bend and Portland, Ore. and Seattle, Spokane, and Tacoma, Wash.